"It's horrifying to have a half-dozen children killed in a community of our size"
The victims include a 10-year-old girl who was killed and a 3-year-old boy who was hurt. Source: NBC Washington reporting and Metropolitan Police Department press releases. NBC Washington submitted a Freedom of Information Act request for police data on all shootings of juveniles in 2018 thus far. The request is pending. Note: Dates listed are the dates of the shootings, not, when applicable, the deaths of the victims. Map includes victims age 17 and younger. At least 21 children and teens have been shot in Washington, D.C., this year, a News4 analysis shows. The grim list includes six juveniles age 17 or younger who were killed and 15 who were wounded. A 3-year-old boy was shot and wounded April 30 when someone opened fire on a crowded block. Ten-year-old Makiyah Wilson was shot and killed July 16 after masked men started shooting as she headed to an ice cream truck. And just this month, on Oct. 8, a 14-year-old boy was shot and wounded after leaving a sports practice. Click on the interactive map above to learn about juveniles shot in D.C. in 2018. Southeast D.C. political organizer and victim advocate Philip Pannell said he was upset to see the magnitude of the loss. "It's horrifying to have a half-dozen children killed in a community of our size," he said. Police say they arrested a man in the murder of 10-year-old Makiyah Wilson. Detectives have identified a second suspect, but he’s still at large. 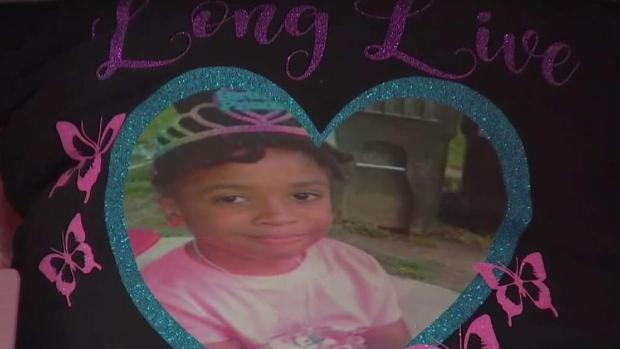 News4's Darcy Spencer spoke to Makiyah’s mother who said she just wants justice for her baby. Pannell said he was concerned about the trauma children suffer when they are shooting victims themselves or know people who are. He said he spoke at Anacostia High School in Southeast D.C. about three years ago and asked the students if they personally knew anyone who had been murdered. "Every single hand in the auditorium went up," he said. More youth have been shot in Ward 8, in the southern-most part of the city, than in any other ward. Ward 8 D.C. Council member Trayon White said he wants to see the District devote more resources to public safety. "We have a state of emergency when it comes to violence in the city," he said. 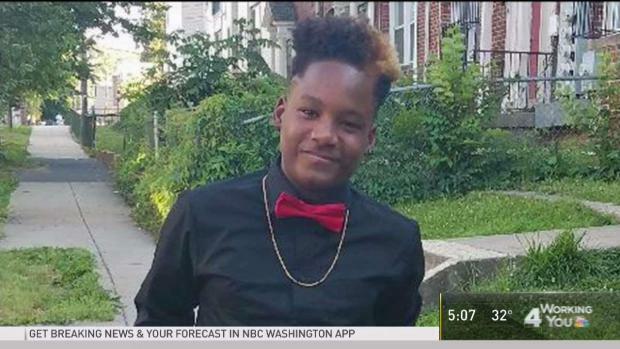 The list of young people shot in D.C. this year may be even longer. News4 submitted a Freedom of Information Act request for Metropolitan Police Department (MPD) data on all juveniles shot this year and in prior years. That request is pending. In the meantime, News4 compiled data from police department statements and the station's own reporting on crimes against juveniles. MPD did not respond to a request to comment on the data. Earlier this year, MPD Patrol Chief Robert Contee said access to guns combined with the root causes of violence, including untreated mental health issues, lead to the deaths of young people. "In a lot of these cases, we have young people who are unable to resolve conflict. When you add a gun to that, you have a deadly situation," he said. Contee called for city residents to mentor and advocate for young people. Steven Slaughter, a 14-year-old boy who was in ninth grade, died after he was shot near his home in D.C. on Sunday. News4's Pat Collins has the story. Violence-interruption programs, including one called Cure the Streets, aim to reduce gun violence by directly diffusing tense situations. The program is partially funded by D.C.'s Office of the Attorney General. Anacostia resident and violence interrupter Stuart Anderson responds to crime scenes to try to prevent retaliation before it begins. He said he recently rushed to a scene after a teenager was shot. "I immediately figured out who are the victims, who are the family and friends, and then tried to engage in a conversation with them to talk them down," Anderson said. "They want to know the who, what, when, where and why. And they want to get them back. No scene is different in that regard." Anderson said he encourages family members and friends of crime victims to "stand down, even if just for a minute." He said he hopes that when he gets a victim's loved one to pause, he helps prevent another injury or death. Do you know of a crime that has been omitted from the map? Email tips@nbcwashington.com.